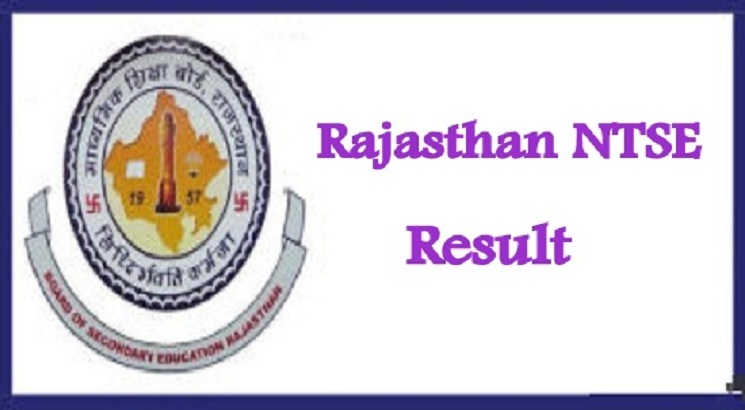 NEW DELHI, FEBRUARY 14: Board of Secondary Education, Rajasthan has released the NTSE Rajasthan result on its official website. The result has been released for all the candidates who participated in the exam this year. The result, released in the form of pdf, mentions the roll number, category, marks in MAT and SAT and overall scores. Along with the result, the Board has also released the cutoff score and the final answer key. This year the cutoff score has risen from 131 last year to 178 for general category students due to changes introduced in the exam pattern. The links for category wise pdf along with cutoff and final answer key will appear on the screen. Select the valid link and look for your name on the list. Candidates who qualify to the merit list will appear for NTSE stage 2 scheduled on May 12. The admit card for the same will release in the third week of April on the official website of NCERT. The NTSE stage 2 result will be out in the second week of September.